The Misses Bowie, Isabella Brown, Fanny Owen-Smith and Violet Paterson who taught in the Sydney Ragged Schools, are examples of the dedicated, female, vocational philanthropists of the nineteenth and early twentieth centuries. While they gave a lifetime of devoted service to the Ragged Schools, they have hardly left a mark on the historical record of the times. This was not because their work was insignificant, but because official reports and newspaper accounts of the day gave much more attention to the governance and financial philanthropists of the charity and gave little mention to those who did the actual work of the organisation. Because of this lack of attention, their work and contribution has largely gone unrecorded and uncommented upon, and the paucity of sources makes this difficult to adequately redress. The Misses Bowie were all born in Edinburgh, Scotland. Louisa was born in 1834, Jessie in 1836, Catherine in 1838, and Elizabeth in 1840. Their father was George Bowie (1800-1856) and their mother was Janet Bowie Harper (1810-1887). In addition to the sisters mentioned, George and Janet had five other children: Mary Elizabeth (1830-1920), George (1832-1909), Alexander Patrick (1844-1919), Robert William (1947-1930) and Alice Anna (1851-1900). A further ‘son’, Alfred Robert (1860-1935), was added to the family and, while he was raised as their son, he was in fact the son of their daughter Catherine and an unknown father. 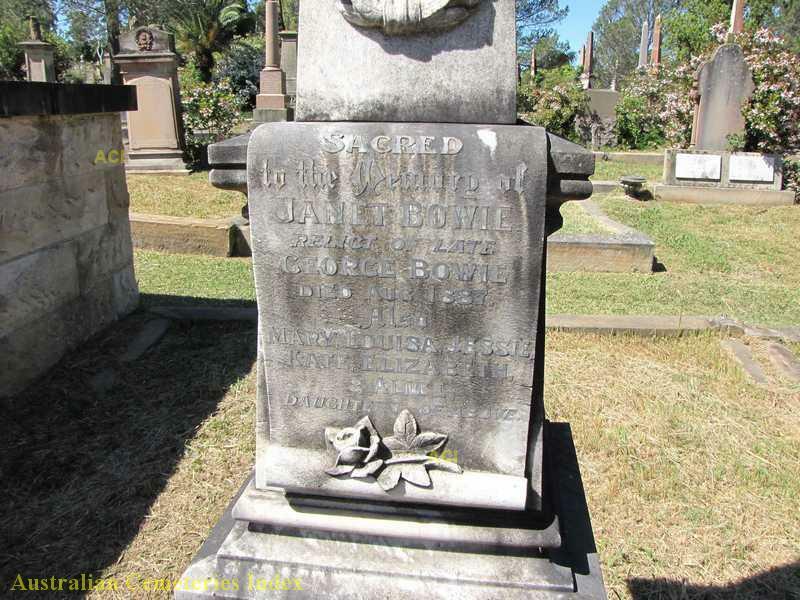 It is probable that sometime after 1841 but before 1847 the Bowie family emigrated to the colony of NSW. George, who had been a merchant in Scotland, worked as a schoolmaster at Muswell Brook (Muswellbrook) in 1848, Mangrove Creek from 1849 until 1852, and in East Gosford in 1853 and he died from consumption in late 1856 at Ulladulla, NSW. 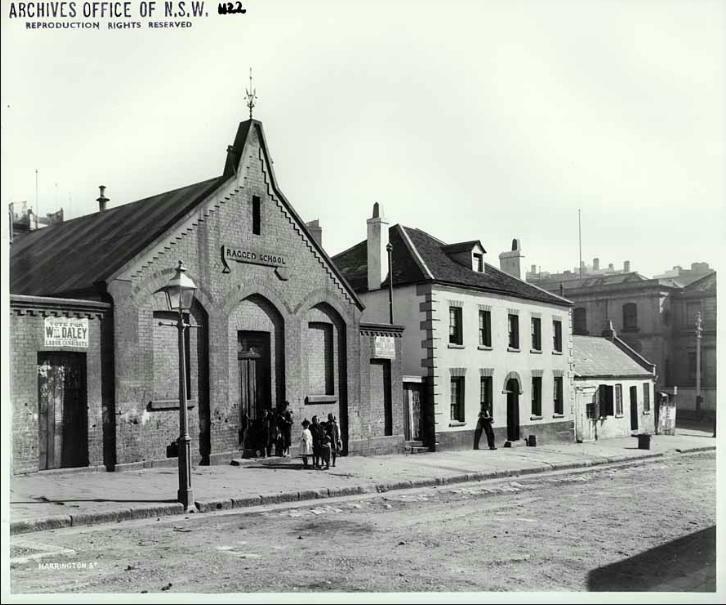 Mrs Bowie moved the family to Glebe and, around 1879, they moved to Forbes Street, Newtown, which would become the family home for a number of the sisters. that their only desire is that the mode most calculated to benefit the lot for which these Schools are designed should be adopted and they are quite willing that the school here should be subject to the same rules to those in Sussex and Globe Streets. During the course of this correspondence Ann Goodlet, herself a former governess, referred to the Glebe school’s ‘excellent teacher’ who would benefit from an increased salary as a result of the amalgamation. This ‘excellent teacher’ was Louisa Bowie, who would serve the school from its foundation in 1862 until her death in 1884 at the age of fifty. At her death, the committee commended her more than twenty year service, noting that ‘as a teacher at the Glebe school … her best efforts were used to promote the moral and spiritual welfare of the scholars not only in the schoolroom but in the houses of the children.’ Louisa had commenced the Glebe school with five children and, through her teaching and home visiting, this number grew to 56 by the end of the first year. By 1866, she required more permanent assistance beyond that provided by the lady volunteers and so Elizabeth Bowie was employed to assist her. 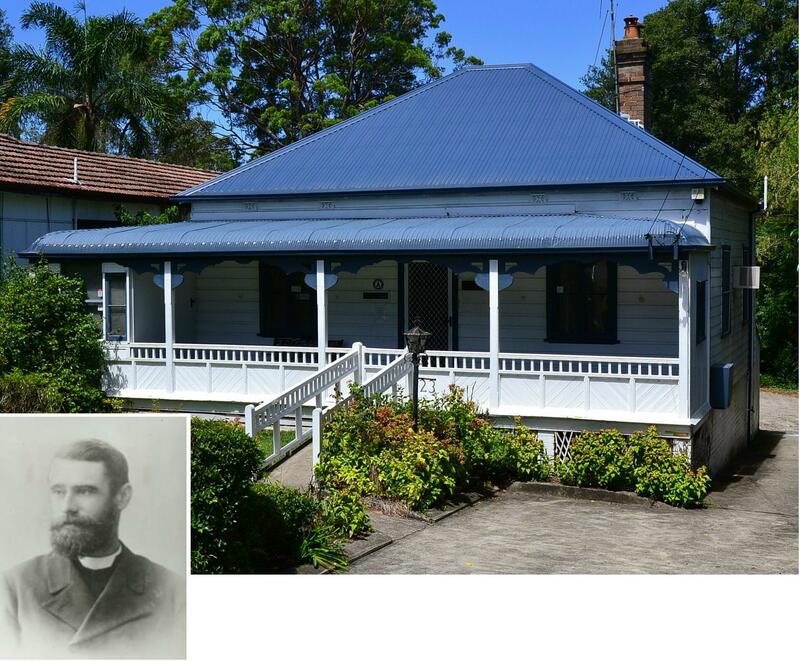 Thus began Elizabeth’s long career with the Ragged Schools which would extend from 1866 until 1897 at Glebe, 1898 until 1903 at Harrington Street and then from 1904 to 1909 at Brisbane Street. Catherine Bowie, better known as Kate Bowie, began her teaching in 1864 at the Globe Street School which had been commenced by Mrs Lee in September 1862. She taught and lived there until the close of the Globe Street School in 1874 and then moved to the re-opened work at Harrington Street in 1875 where she remained teaching until her retirement in late 1909. The retirement of both Elizabeth and Kate had been sought by the committee as, by 1909, the committee considered them to be ‘aged teachers’. Having given 40 and 45 years respectively of ‘earnest and devoted work’, it was thought that the time had come for them to conclude their service. The Misses Bowie agreed and retired from teaching and an allowance of £36 per annum, which was half their current salary, was offered by the committee and enabled them to retire. With Kate being 71 years old and Elizabeth 69, it is highly likely that financial considerations were the main reason they had kept on working. Mr Lee he especially praised as a man of very sincere piety and great love for the children. He had had very rough diamonds to smooth, but he (Sir James) was quite sure his influence was good and he could not help thinking that after 50 years his teaching must have had a wonderful effect upon a certain part of the community. Sir James significantly over-praised Lee for his contribution and influence through his time at the Ragged Schools for Lee spent less than two years there as a teacher. Sir James was confusing Joy’s role there with the role he had played in the Sunday Schools of the Congregational Church where he did have a significant impact. If Sir James had had a closer association with the Ragged Schools he might have more appropriately drawn attention to the work of the Bowie sisters who had accumulated, from 1862, some 146 years of service between them. Individually, each sister contributed far more to the work than Lee ever did and their impact as a family upon the children of the Ragged Schools was immense. The name or the epitaph graved on the stone? We ourselves but remembered by what we have done. It is not necessary to give their names which no doubt are inscribed where records never fade. In the same article, there had been no reticence naming certain male philanthropists, such as Edward Joy and others, however, it was to be the fate of the women teachers not to be mentioned by name and only remembered in a public way by a small number. A few, however, had remembered the work of the Bowie sisters. An indignant letter was received by the editor of the Sydney Morning Herald pointing out that some had appropriately honoured these workers in their death. As to the Bowie sisters lying in an unmarked grave, nothing could be further from the truth. In fact, two large allotments in the Presbyterian section of Rookwood were purchased so that the purchasers’ families could be buried there. When the first Bowie sister died, however, they decided to allow her to be buried there and a kerbstone was placed around the grave. As each successive sister died the donors allowed the sisters, and also their mother, to be buried at the site. In the end, the owners decided to renounce their claim on the land and they made it a Bowie family site. After the death of the last sister they paid to have a monument erected. The ground was turfed and all the names were inscribed on the monument, thus remembering and honouring the Bowie sisters. The Bowie sisters were not the only long-serving female teachers at the Ragged School. Four other women who served for long periods were Kate Gent nee Danne (see article dedicated to her), Isabella Brown, Fanny Owen-Smith and Violet Paterson. Isabella (Izza) Brown was born in 1858 in Tanfield, Durham, England, to Charles Brown, a coal miner, and his wife Jane Surtees. 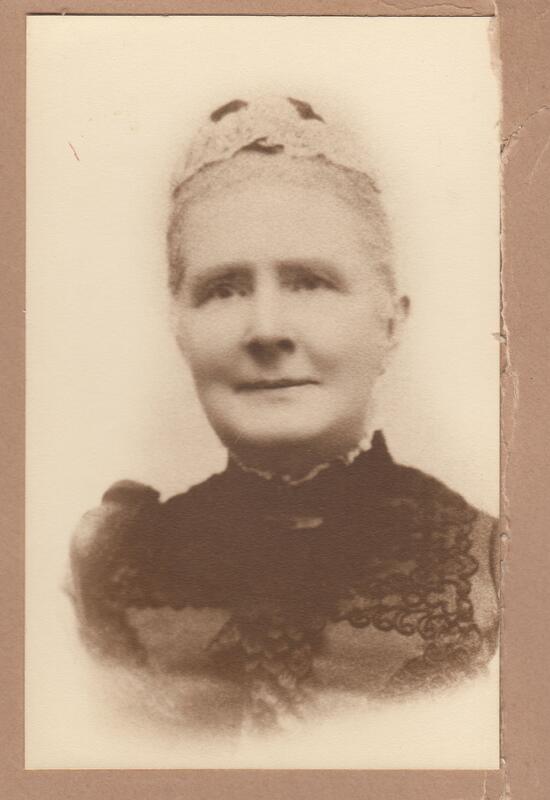 She came to Australia around 1882 and was a trained teacher. Isabella commenced her service at the Glebe school in 1883, after two years and in mid-1885, she was requested to open a new school at Waterloo. She worked here for 12 years with two assistants until October 1897, after which time she returned to the Glebe school. She remained teaching at this school until 1913 when ill-health forced her retirement after some 30 years of service to the Ragged School movement. Isabella was replaced by Miss Bessie Forbes who had worked for more than 12 years in connection with the Ragged Schools. That Bessie Forbes should replace Isabella was rather appropriate as Bessie was one of the pupil teachers who had been mentored by Isabella. Bessie had not proved very promising when she began as a probationer in 1900, but under Isabella’s training she became sufficiently skilled to be entrusted with the Glebe School on Isabella’s departure. Reflecting the practice in other national and church schools, pupil teachers were placed under Isabella for a period of four years to be trained as teachers. She reported to the committee on their progress and was paid a little extra in recognition of her role as a trainer of teaching assistants for the Ragged School system. By 1912, Isabella had become seriously unwell and was granted three months leave in an attempt to recover her health. This was only partly successful and Isabella regretfully came to the conclusion that she could no longer continue her work and by mid-1913 had submitted her resignation. The Committee initially granted her a retirement payment of £50 per annum, but this was shortly afterwards reduced to £36 per annum much to Isabella’s displeasure. The committee, however, could not afford to fund the retirement of four previous head teachers. Fanny Louisa Owen-Smith (1859-1932) was born in Sydney in 1859 to William Smith, a general labourer, and his wife Fanny Owen. She was musical and taught music and singing, participating in a concert for St Stephen’s Presbyterian Church Phillip Street in 1882. By 1885, she was organising her students to give concerts and was rather grandiosely, though not unusually for the nineteenth century, advertising herself as ‘Miss F L Smith, Professor of Music’. Fanny was also involved in concerts for the Wesleyan Church, and gave her assistance on a casual basis to the Ragged School in preparation for the children’s presentation at their prize-giving day. In September 1889, she was appointed to a permanent role in assisting Miss Brown at the Waterloo School and, on the retirement of Kate Gent at the end of 1891, she was placed in charge of the Brisbane Street School. She remained there from 1892 until Isabella Brown moved to the Glebe School sometime in 1898 when Fanny was then put in charge of the Waterloo school. She was clearly musical and was in charge of teaching singing for the annual meeting children’s presentation. Prior to this event, she would travel around the various Ragged Schools conducting singing classes and rehearsals, and on such occasions played the piano or organ. Fanny remained at the Waterloo School until her retirement in 1917 whereupon the committee granted her an ongoing allowance of £36 per annum. She had served the Ragged Schools for 28 years. During her time at the Ragged School, Fanny and Isabella Brown became good friends and they often travelled on holidays together and went overseas to London in 1903. They were both active in the Anglican Church and supportive of the ministry of Rev Joshua Hargrave who was the Anglican minister of St David’s Church Surry Hills (1880-1899) and later of St Silas’ Waterloo (1901-1907) as well as a conscientious member of the Ragged School Committee. Jointly, they presented the church at Surry Hills with a reading desk and a memorial lectern and later, as a thank offering, they donated a large prayer book for the reading desk. Joshua Hargrave and his wife retired to Blaxland in 1907 and, being financially well–off, they built a house for themselves. Generously, in recognition of their Ragged School work and because they were without means, the Hargraves also built a house for Isabella and Fanny which was named ‘Tanfield’ after Isabella’s birthplace. They resided there from at least 1913 until just before their deaths. Fanny was the executor and sole beneficiary of Isabella’s will, but she died only a month after Isabella’s death in 1932. 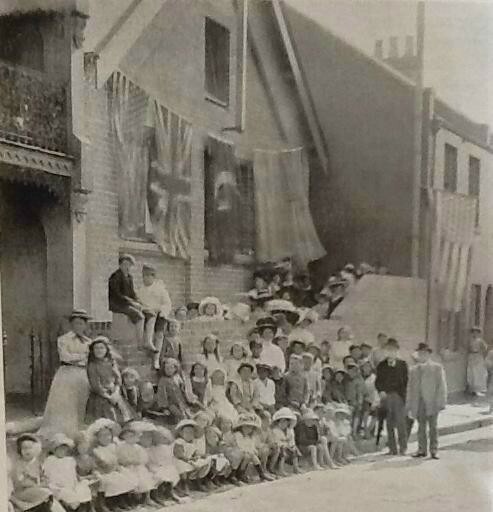 When the property of the Brisbane Street school was resumed in 1909, the school found a temporary home in a room under the Unitarian Church in Liverpool Street. The teaching staff complained to the committee about the conditions of the new venue, for the room was inadequate, draughty, cold and ill-lit and Violet had to teach under these ‘almost impossible conditions’. The committee members were sympathetic, but no other venue could be found so Violet conducted school there until the new building was opened. In 1910, she was appointed principal of the new ‘Old Brisbane Street Ragged School’ which was renamed the Jubilee School in Surry Hills. She spent the remainder of her time at this school but in 1916 she sought permission to take four weeks leave to attend classes for nursing at ‘St (sic) Alfred’s Hospital’, and in 1917 she gained her Advanced Home Nursing Certificate. Whether she was contemplating a career change or whether she was preparing to nurse her brother Hugh, who had been wounded in World War 1 in France in 1916, is unknown. She did, however, retire in 1918 after 20 years’ service. Though Violet had given 20 years of service she was not given a retirement allowance as the other head teachers had received. By this stage, the Ragged School Committee was in significant financial difficulty and Violet was given three months salary in recognition of her service. The other teachers on their retirement were all in very modest circumstances and the beneficiaries of charitable individuals who assisted them. Violet, however, seems to have been somewhat better off. She went into partnership with her brother Hugh and purchased properties in the Sydney City area. By 1939, they had 15 properties with a gross annual value of £755 and by 1948, the year of her death, she and Hugh had amassed 29 properties with an annualised gross value of £1860. Unlike her predecessors, Violet was not in difficult financial circumstances in her retirement. In the estimation of the Ragged School Committee, the ‘Ragged School, with its earnest Christian teacher, was a centre from which radiated silent but omnipotent forces that made for righteousness, purity, and goodness. It was a light that helped to tell of the “Light of the world”’. Our schools are Mission Schools, our work is Rescue work, our teachers are all Christian Teachers, duly accredited and connected with the various Christian churches. The great truths of the Christian religion are given a prominent place in the daily teaching of all our schools, and without the great motives which religion supplies to win and lift the children our teachers could not continue their work. the neglected, the unrestrained, the children who roam, and loiter, in the streets, are not in the state schools any more than before. These have to be sought for and saved … they must be taken hold of and led into better paths. The work required is first of all, and greatest of all, missionary work. In the Spirit of the great Shepherd, the teachers have to seek and find the lost, to gain the confidence of the children, to make them feel there are those who really care for them. Then comes the education on secular and Christian lines. Such was the role that the female teachers of the Ragged School were expected to play and while their success in doing this is hard to determine, many children no doubt benefited. he knew that there were numbers of respectable men and women in this colony who owed their present positions to the action of the ragged schools. They were constantly having instances brought before them of the good work which the schools were doing. He was sure that if the Bible was not made use of, the schools would cease to be the power of good which they were. for years, he attended the Glebe Ragged School, and could testify to the good he received there; without this school he would probably have had no education or Bible training … He had not only received great benefit from the school himself, but he knew of many others who owed all their hopes in time and for eternity to the Ragged schools. Preparation through education for the present time and for eternity was the emphasis of the Ragged School and the long-serving and dedicated Christian female teachers, so often overlooked, were the human key to it achieving its objectives. George was the youngest son of Patrick Bowie MD a surgeon of East India Company. He was born in India. Janet Harper also had Bowie as a middle name before she married George. NSW BDM 3987/1960 Alfred R Bowie. See also SMH, Dec 15, 1888, 1. Alfred would work for the Australian Gaslight Company for 50 years and or retirement was deaconed by Archbishop Wright in 1926 and served in a voluntary capacity at St Andrew’s Church of England, Summer Hill until his death in 1935. SMH, December 18, 1926, 7; December 4, 1935, 20. The family appears in 1841 Scottish Census and the death certificate of George Bowie, dated September 29, 1856 indicates he had been in the colony of NSW for 15 years. NSW BDM 1856/003241 George Bowie Death Certificate. This would make their arrival shortly after 1841. 1847 is the year of birth of their first colonial born child, Robert. Mrs Marion Reid, the wife of the Rev John Reid, colleague of Rev Dr John Lang, assisted by her son the future Prime Minister of Australia George H Reid, had commenced a school on February 13, 1860. It was along the same lines as the one Mrs Reid had conducted in Johnston, a Renfrewshire manufacturing village in Scotland. Empire (Sydney), July 27, 1860, 4. To Mrs Reid belongs the credit of the first Ragged School in the colony. For background on the Reids see Sunday Times (Sydney, NSW), March 19, 1905, 18. SMH, December 24, 1862, 5. The citizens were perhaps more accurately described as ‘some benevolent ladies’. SMH, May 3, 1864, 5. Empire (Sydney, NSW), April 9, 1862, 5. Empire (Sydney, NSW), November 8, 1862, 1. Empire (Sydney, NSW), May 19, 1862, 1. Empire (Sydney, NSW), October 4, 1862, 1. Ragged School Minutes, November 24, 1863. See Ragged School Minutes, June 17, 1882 which gives her date of appointment at Glebe as January 1863. This is when she came into their employ but she had been employed by the Glebe school from its commencement on July 21, 1862. SMH, December 24, 1862, 1. SMH, September 27, 1884, 16. SMH, July 2, 1866, 2. Reports there were two Miss Bowie’s employed at Glebe. The Ragged School Minutes June 17, 1882 state Elizabeth’s commencement date with the Ragged School was in 1869. The earlier date is more likely to be accurate. Sydney Mail, July 4, 1863. Mrs Lee was probably the wife of HB Lee who had in 1861 resigned as teacher at the Ragged School in Sussex Street. Ragged School Minutes, June 17, 1882 gives the date of Kate’s commencement as October 1864. Assessment Books, City of Sydney, Gipps Ward, 1877, 1882. Ragged School Minutes, March 29, 1909. Ragged School Minutes, June 11, 1909. The school commenced September 1, 1895. Ragged School Minutes, August 28, 1895. She died on April 25, 1906. SMH, April 26, 1906, Forty-sixty Annual Report of the Ragged Schools, 1906. Forty-fourth Annual Report of the Ragged Schools, 1906. SMH, October 18, 1910, 5. SMH, April 2, 1927, 14. The verse is adapted from ‘Remembered by what we have done’ by Horatius Bonar (19 December 1808 – 31 July 1889) who was a Scottish churchman, poet and hymn writer. SMH, April 12, 1927, 12. SMH, Feb 13, 1932, 17 says she had come to the colony 50 years ago giving a date of 1882. An Immigration Deposit Journal entry for November 1882 indicates her sister Catherine Bulmer (nee Brown) was her sponsor. NSW Immigration Deposit Journal 1853-1900, November 1882. Ragged School Minutes, October 13, 1897. SMH, September 4, 1913, 8. Ragged School Minutes, November 23, 1900. Tania Aspland ‘Changing Patterns of Teacher Education in Australia.’ Education Research and Perspectives, Vol 33, No. 2, 2006, 145. SMH, September 3, 1913, 7. Ragged School Minutes, July 17, 1913. Ragged School Minutes, November 24, 1914. SMH, December 9, 1882, 2. Evening News (Sydney, NSW), September 19, 1885, 1. SMH, December 5, 1887, 7; March 9, 1889, 3. SMH, June 19, 1888, 4. Ragged School Minutes, September 6, 1889. It was part of her original conditions of employment that she was required to teaching singing across all the Ragged Schools. Ragged School Minutes, September 6, 1889. Ragged School Minutes, February 22, 1917. To Queensland Ragged School Minutes, December 10, 1895. The Maitland Daily Mercury (Maitland, NSW), 30 December 30, 1903, 4; The Sydney Mail and New South Wales Advertiser, April 8, 1903, 890. They had leave from April 1 – November 1, 1903. Ragged School Minutes, November 27, 1902. The arrived back in Sydney late and recommenced work on November 16, 1903. Ragged School Minutes, November 26, 1903. Marian Hargrave nee Wooldridge had first taught as a lady volunteer at the Sussex Street School in 1867. SMH, April 26, 1923, 5. SMH, July 19, 1902, 7. SMH, April 26, 1923, 5. Interview by R. Ian Jack with Richard King, 27 View Street, Blaxland, 1 May 2002. Bx011: Hargrave-calver Group of Houses and Gardens. NSW Government Office of Environment & Heritage. The property was 23 Hope Street Blaxland. The Blue Mountain Star (Katoomba, NSW), January 19, 1929, 4. She died on October 9, 1948. SMH, October 6, 1950, 21. It is not certain that she was employed at St John’s school but the timeframe of reference to a Violet Paterson being a teaching there fits well. SMH, October 28, 193, 10; Evening News (Sydney, NSW), October 26, 1895; SMH, November 5, 1897. Ragged School Minutes, February 25, 1898. Evening News (Sydney, NSW), September 19, 1908, 9. It moved to Albion Street as a temporary measure. Evening News (Sydney, NSW), December 17, 1898, 2. SMH, June 25, 1904, 9. Ragged School Minutes, February 11, 1909; March 29, 1909. SMH, September 25, 1909, 8. Ragged School Minutes, October 20, 1916. Sunday Times (Sydney, NSW) January 7, 1917, 27. SMH, December 20, 1918, 4. Her resignation was dated March 26, 1918 to be effective on 30 June 1918. She was granted three months’ salary but not an ongoing payment as the other retired head teachers had received. Ragged School Minutes, April 18, 1918. Assessment Books, City of Sydney Archives, property holdings for 1939 Flinders Ward and 1949 Finders Ward and Fitzroy Ward. By 1908 they could see that for some children the Ragged school was a stepping stone towards attending public schools when it said ‘we are content to be used by these poor children in their day of need as a stepping stone to the public or other schools, when better times come.’ The forty-eighty Annual Report of the Ragged Schools, 1908. SMH, September 17, 1907, 10. SMH, November 15, 1910, 8. The forty-eighth Annual Report of the Ragged Schools, 1908. The forty-seventh Annual Report of the Ragged Schools, 1907. SMH, September 28, 1886, 5. The Sydney Mail and New South Wales Advertiser, September 20, 1879, 475. By phinaucohi in Ragged Schools on September 9, 2015 .